Are you raising chickens on a homestead and have a coop that seems to attract rodents and a variety of other pests? Coop critters are not typically welcome as they often carry disease and will eat the food too. Luckily, repelling coop critters naturally is not that difficult. One of the easiest methods for repelling coop critters naturally is changing the way that you feed all of your chickens. Simply moving the feed outdoors and out of the coop will keep a lot of pests away. Food can be placed on the ground or in a feeder. 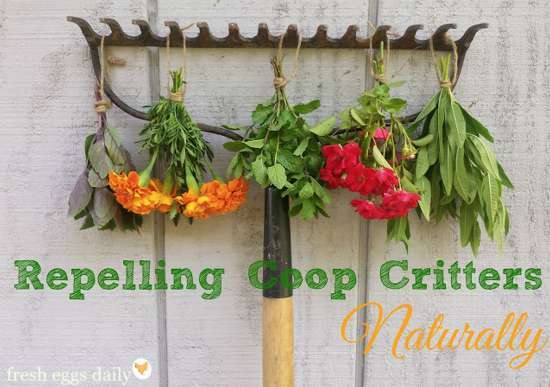 Many types of plants can also be used for repelling coop critters naturally. This includes mice, rats and ants. Certain plants can even help to repel flies. All you need to do is research the types of plants to use in and around your coop. Herbs can also be planted to help keep critters away.